For UBC School of Music graduate Tyler Duncan, there’s a magical moment that happens right before every performance in the Chan Shun Concert Hall. Performers gather in a backstage area that’s nestled beneath the choir bleachers, and they can peer out at the audience members as they take their seats. If people are seated at the rear of the stage in the choral loft, the musicians can even see their feet. Now an accomplished opera singer, Duncan has performed with the Metropolitan Opera, the American Symphony Orchestra, the New York Philharmonic, the Munich Bach Choir, and symphonies across Canada. He says the feeling of singing in the Chan Shun Concert Hall helped solidify his decision to pursue a career in music, and helped prepare him for the professional world. “It lets students know what they’re capable of, and gives them the tools to perform in a world-class concert hall. Coming out of university, they already have that experience,” says Duncan, who graduated in 1998 and has performed at the Chan Centre dozens of times since. He also met his wife at UBC, and they both performed in the choir on opening night. 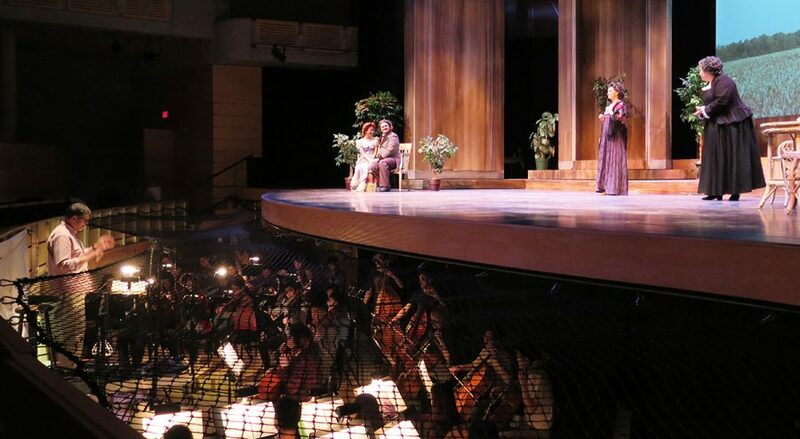 Since the venue opened, the UBC School of Music has performed more than 40 operas on the Chan Centre stage, drawing opera lovers into countless worlds, among them a Mozart garden (Die Gärtnerin aus Liebe), a fiery Offenbach underworld (Orphée aux enfers), and a Swiss psychiatric clinic (The Dream Healer). The opera program has grown from seven singers to more than 100, in large part because of the allure of the centre. For vocalists, what sets the Chan Shun Concert Hall apart is that, because of the exceptional acoustics, singers can hear themselves on stage and can be heard by all the audience members, no matter where they’re seated.